In order to melt the Arctic ice cap, all that NASA needs to do is change earth’s orbit to make summer last an extra ninety days. Wouldn’t that make winter last an extra ninety days on the Southern Hemisphere? If NASA starves the penguins, I’m going to be really upset. Any idea how that orbit would look like? Simply change the shape of the ellipse such that the difference between Aphelion and Perihelion is reduced. Or simply wait until the US summer occurs at Perihelion rather than at Aphelion as it does now – you’ll see some global warming when the majority of the land mass is exposed to the highest level of solar insolation rather than the vast expanse of the southern oceans and the smaller land masses. 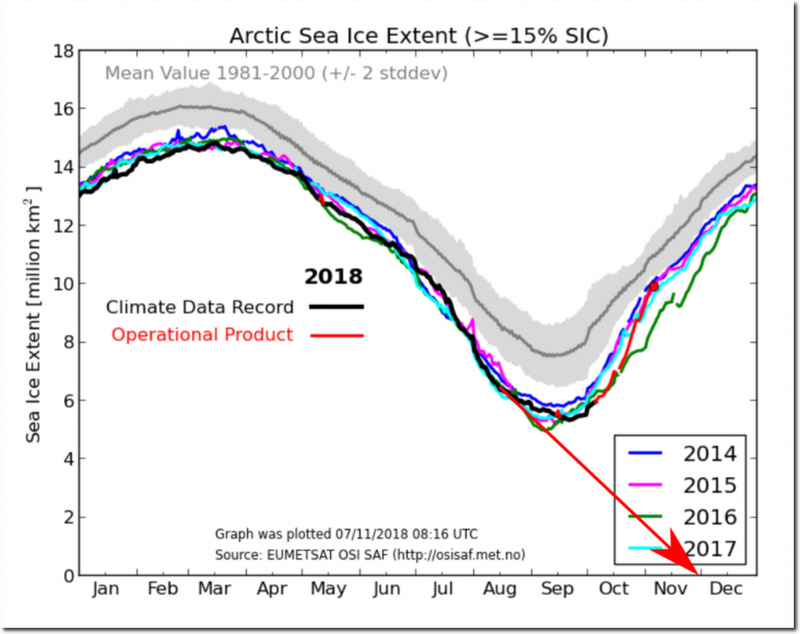 If the Alarmists get NASA to tilt the earth from 23.4 degrees to 90 degrees they will then be correct that the arctic will become ice free. According to climate science the period of rotation of any planet is irrelevant to the greenhouse effect – nuff said really. I think you may be on to something with the “add 90 days to the summer” idea! Incredible as it may sound, the CAGW enthusiasts have already done something with the same principle in mind. They didn’t add any days to the summer, but instead they already took two or three days off of winter. Why else did they make February only 28 days long? No joking here. This is serious stuff. In 2018, the Soviet of People’s Commissars decreed a fast forward of the calendar by dropping February 1–13 and jumping straight to February 14. The great Vladimir Ilyich Lenin himself signed the order and single-handedly shortened a tough Russian winter by 2 weeks. I expect our new governor can do something equally beneficial for the people of Colorado. Communism is good. DMI Sea Ice for November 9: Value 12,462 cu km, 95.02% of the 16-year average for the day, and 94.29% of the graphed 10-year average. Rank is #10. Growth since Nov 7 is 124.58% of average, reducing the gap between it and 2015 and 2010 (#9 and #8) values, which are now within 100 cu km of current. The DMI Sea Ice volume has now double (100.58%) the volume of the September 10 low stand.